Sony's latest PSP update breaks your PSP. Brilliant. The week started for Sony Computer Entertainment with the LittleBigPlanet Qu'ran PR debacle, segue-ing into a little firefighting relating to visible lines on the new PSP 3000 screen and now ends with the news that the new PSP update 5.0 effectively breaks your PSP. We imagine that Sony's PR department is particularly glad that it is Friday this week! It seems the PSP firmware version 5.00 for the PlayStation Portable creates a storage problem on the handheld. While the update allows users direct access to the PlayStation Store from their PSPs while hooked up to a Wi-Fi network (or while illegally freejacking their neighbours…) Sony has also identified "an issue related to larger capacity Memory Stick Pro Duos". If you try to download a game or video from the PlayStation Store with an empty 16GB Memory Stick Pro Duo card in your PSP you will receive a message telling you that there is no space on the card. So understand that when Sony uses the word 'issue' in the above statement, what they mean is 'fault'. Semantics can be such fun! 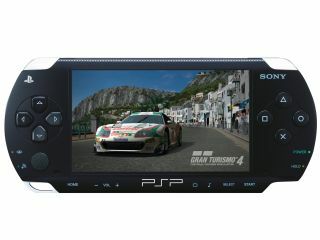 Sony's promises that PSP update version 5.01 will fix this 'issue'.